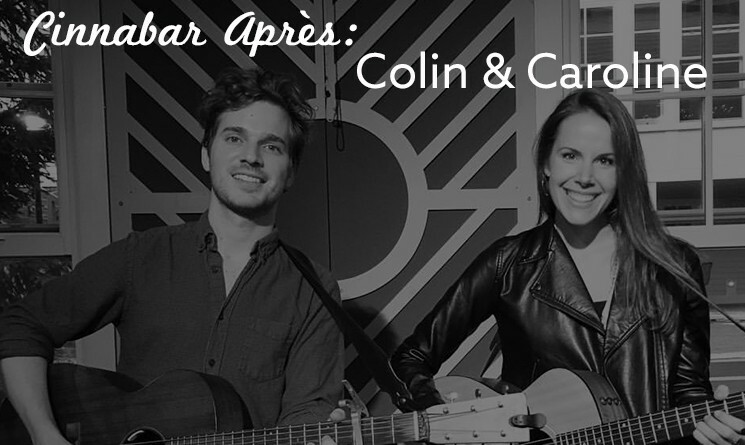 Join us for free aprés music in the Cinnabar from Colin and Caroline playing some folk-rock tunes on Friday, December 1, Saturday, December 2, and Sunday, December 3. See full 2017-2018 line up here. Born and raised in Richmond, Virginia, Colin Healy and Caroline Mauck grew up with a foundation and love for music which helped to drive their passions as musicians. Colin and Caroline attended high school together, and after years of pursuing music in different directions, they were reconnected at a local spot in their hometown. They collaborated on several covers, adding their own unique spin and turning them into duets. From there, they began co-writing original songs and growing together in lyrics, sound, and performance. What started as two individual solo artists, has since emerged the Acoustic-Folk duo of "Colin & Caroline". Colin & Caroline's heart-warming harmonies, original lyrics and songwriting, and a blend of creative covers first grabbed the attention of many in Central Virginia alone. Their song More Than Gravity was featured in the 2017 Netflix original series "13 Reasons Why", and has continued to expand their presence worldwide and through new platforms. Colin & Caroline look forward to continuing their growth as independent artists and sharing their music with audiences both new and old.